First floor apartment with 3 bedrooms with fitted wardrobes, 2 bathrooms, kitchen, gallery, living room and terrace of 16 m².It has air conditioning, lift and parking.Complex with swimming pool, garden and concierge, located at the level of km 1.5 of Las Marinas, sports center area, 750 m from the beach. Penthouse with large terrace that almost completely surrounds the propertyIt consists of an open kitchen to the living room with laundry facilities and access to the terrace, two bathrooms, one of them with bathtub and windows, 2 double bedrooms with spacious wardrobes.From the main terrace you can see a little bit the sea and the common areas and from the back terraces south facing you can see the mountains with an open view. 2 bedrooms ground floor for sale, in Las Brisas area, the best beach in Denia, with walking distance to all kinds of services and close to Denia Town center.The apartment consists on 2 double bedrooms, kitchen, laundry, 1 bathroom, entrance hall, living room and large terrace with direct access to the common areas. Sunny terrace with perfect orientation. Good qualities of construction: double glazing aluminum windows, air conditioning (hot & cold), awning on the terrace,...Cozy complex with communal garden and swimming pool.Complex with lots of charm, with garden and communal pool. In front of the beach, just 50 m away. Next to the Hotel Los Angeles, supermarkets, restaurants and bus stop for easy access to Denia which is only 3,5 km away.Covered parking place in the complex included in the price. 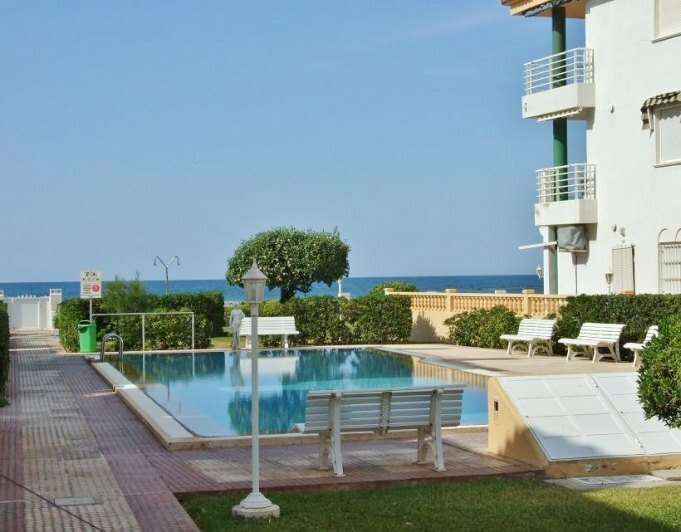 Charming apartment on the seafront with garage and storage room, located on a ground floor. 2 bedrooms, 2 bathrooms, separate kitchen, livingdining room with exit to a large terrace (approx. 40 m2) with a bit of a sea view and direct access to the communal garden and swimming pool. Children's playground. Located 4 km from the towncenter and close to all amenities (restaurants, 2 supermarkets, bars, bus station, etc). An ideal place for your holidays! 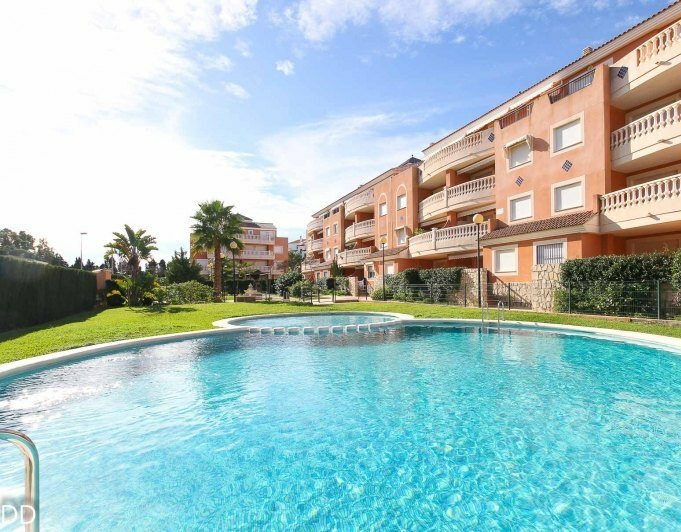 Apartment in Denia for sale, with swimming pool, paddle tennis court, children's areas and large common areas. 3 bedrooms and 2 bathrooms, kitchen with gallery and living room with terrace. Good qualities. With all the necessary services nearby. Next to medical center, schools and a large park next to it. What are you waiting for? Very spacious, with terrace, carpentry interior is wood, exterior carpentry aluminum, floor is marbol, 1º floor, distance to the town center, 200 m. Orientation is south east, electric water heater, air conditioning centralized, energy certification, consumption rating: e, consumption value (kWh / m2 year): 107.60, emissions rating: e, emissions value (kgrco2 / m2 year): 20.20, issue date: 03/09/2018, expiration date: 03/09 / 2028 Construction: 2007, elevator. Urbanization with concierge, intercom, outdoor pool, gardens, common areas, playgrounds, paddle tennis court, nearby shopping center, health center, pharmacy, schools, kindergarden and large park in front. 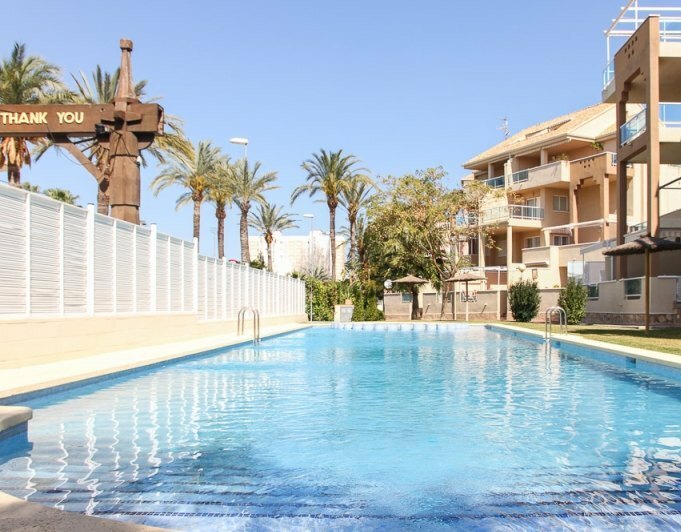 Beautiful apartment in Denia in the urbanization "Playa sol III", next to town center and the beach. Do not miss this great opportunity to acquire an apartment. 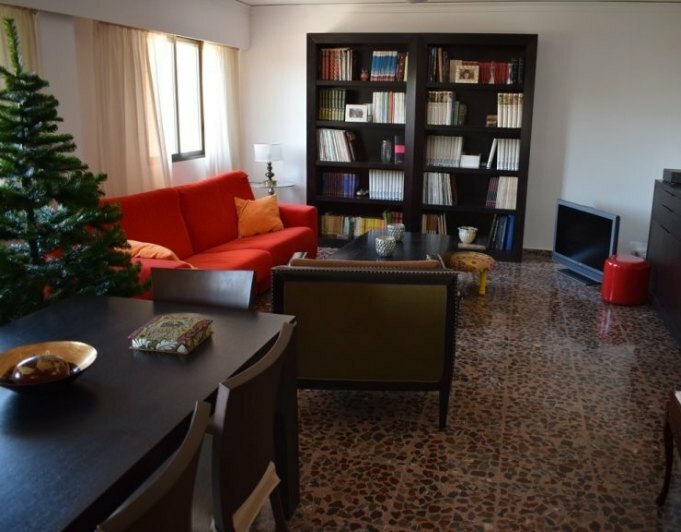 The apartment is very spacious and bright, is composed of two bedrooms, two bathrooms, a kitchen and two terraces. The main terrace is very wide and sunny, where you can enjoy most of the year thanks to its orientation and the fantastic weather we have in the area. The urbanization has a very nice common areas with a beautiful fountain and garden, in which you will find the swimming pool. The apartment has parking and storage included in the price. If you want to see the great opportunity that we offer with this property, feel free to contact us to make an appointment and visit it. Apartment of approx. 200 m² in the center of Denia, near courts and Plaza Paris square. Located on a 3rd floor with a lift. 4 double bedrooms, 2 spacious bathrooms, 2 lounges (one of 45 m2), large renovated kitchen with office, pantry and laundry room. One of the lounges has a fireplace, 2 terraces, parking with pergola and storeroom. A very comfortable apartment just a short walk from supermarkets, shops, schools, bars, restaurants, etc. Fantastic opportunity to purchase! 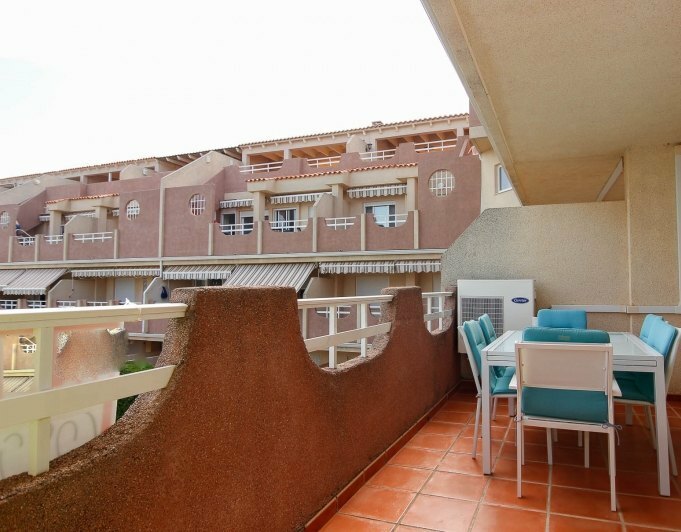 Apartment in Denia for sale, in a very quiet street, near town and the beach. Walking distance to supermarket, shops, tennis club, town sports area with new indoor pool and spa, gym... Parks, sand beach at 350 m. It is in a very well maintained urbanization. The apartment consists of a living room, closed kitchen, 3 bedrooms, 2 bathrooms, a large terrace. Large communal areas, great for children, children and adult swimming pools 24 hour door keeper. Fantastic for all year round or holidays.